For the first time in years, Europe has been able to gather together an experienced group of advocates to form a motivated, innovative and forward thinking activist group interested in implementing harm reduction policy and practice across the EU. The group is called The European Network of People who Use Drugs (EuroNPUD). We began in 2010/11 when EuroNPUD received €20,000 for a network mapping and case study project from the EU. After a planning meeting at the International Harm Reduction Conference in Liverpool in 2010, we began the project, with a consultant mapping out the range of drug user groups in Europe. Information from this was presented to the European Harm Reduction Conference, held in Marseille in 2011. EuroNPUD reflects input from 14 countries from across the EU, whose advocates and networks bring a range of different experience and expertise. 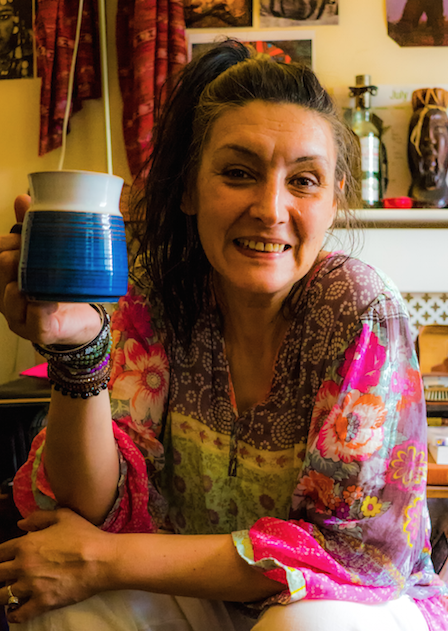 Many of our leading activists and members are well-established players in the world of drug policy, harm reduction and community mobilisation among people who use drugs (PWUD). Drug-related activities are the core focus of our organisation and include drug-demand reduction, supply reduction, international cooperation, infor­ma­tion, research and evaluation. We have also established communication systems among drug user groups and activists in the EU, as this is key to our intelligence gathering and consultation at grass roots level. EuroNPUD is already engaged in domestic advocacy and we have members with experience of representa­tion at both EU and UN meetings. One of our key targets will be the development of an EU advocacy strategy, and our members are involved in many best practice projects looking at responses to overdose, HIV and viral hepatitis. We have a clear mandate around drug law reform. Western Europe has a tradition of drug user activism dating back to the 1970s that reflects the diversity of drug taking and drug-related cultures. The European HIV epidemic in the 1980s and 1990s saw people who inject drugs organising together, while the development of opioid substitution therapy (OST) services also led to a consumer rights movement. As networks have matured there has been strong collaboration between different types of drug users, leading to national policy-making, advocacy and lobbying for drug law reform. EuroNPUD will be actively engaged in the planning and preparations for the UN General Assembly Special Session on Drugs (UNGASS) 2016, where the global community will have the opportunity to consider decriminalising people who use drugs. Whether this goal is achieved or not, this drug policy summit meeting will provide a key milestone in the global dialogue about drug control regulations. We will also support the UNAIDS and co-sponsors push to end the HIV epidemic by 2030, actively promoting the nine core harm reduction interventions recommended by WHO, UNAIDS and UNODC in the technical guide on HIV and injecting drug use across EU countries. EuroNPUD is mindful of new drug trends, such as novel psychoactive substances, and will be supporting the development and dissemination of learning and best practice in these areas. We will also promote the meaningful participation of PWUD in drug policy discussions, the review and development of drug treatment systems, and the continuing public health agendas around HIV, TB, and viral hepatitis. We are aiming to hold an international campaign over the Christmas period promoting access to naloxone, and are hoping to engage the UK’s dedicated drug user activists in this. In short, we hope that EuroNPUD provides a pathway to draw on national experiences and expertise among drug user groups, in terms of both identifying best practice and highlighting current gaps in service. Through a steering group representing members from 14 countries, we now have a mechanism to consult and gather intelligence and testimony from those directly affected by drugs policy and practice.